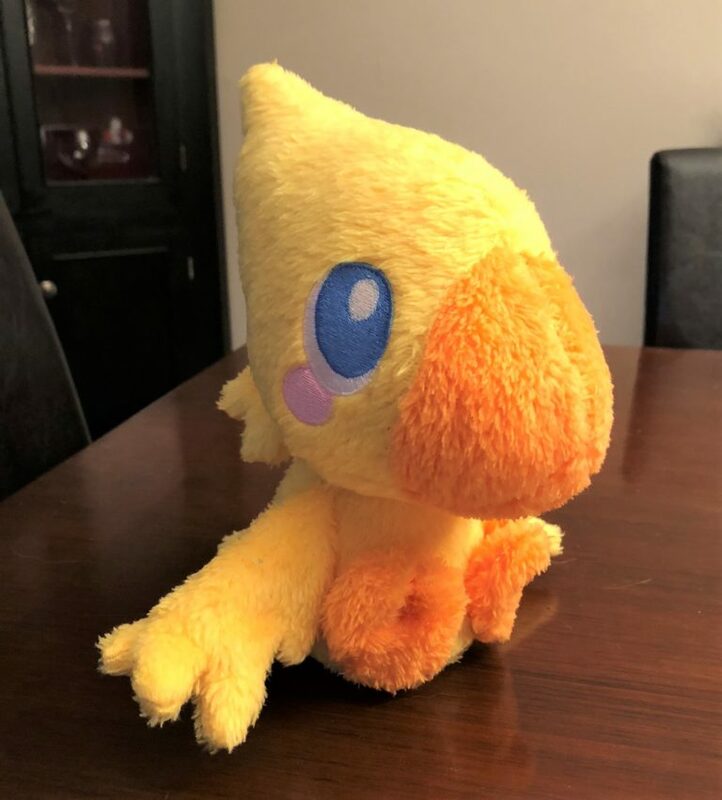 I recently purchased a home embroidery machine in order to expand my options for making and designing bags and plushies. I’m looking forward to learning how to digitize my own embroidery designs! I think it will take my work to the next level. But of course, I have to learn how to use the machine itself. 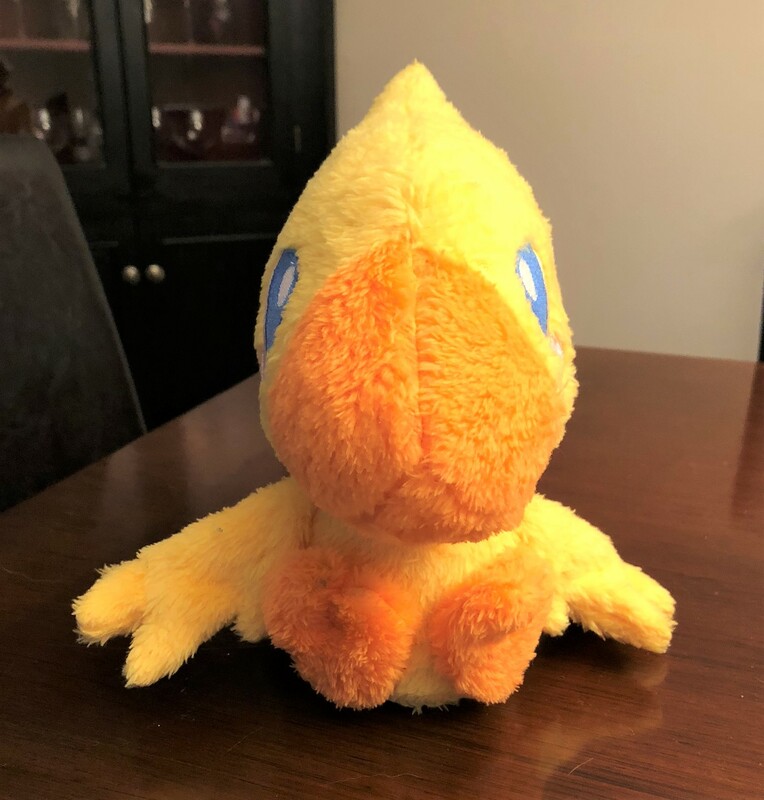 So I started with this amazing free pattern by Choly Knight for a chibi Chocobo plush! 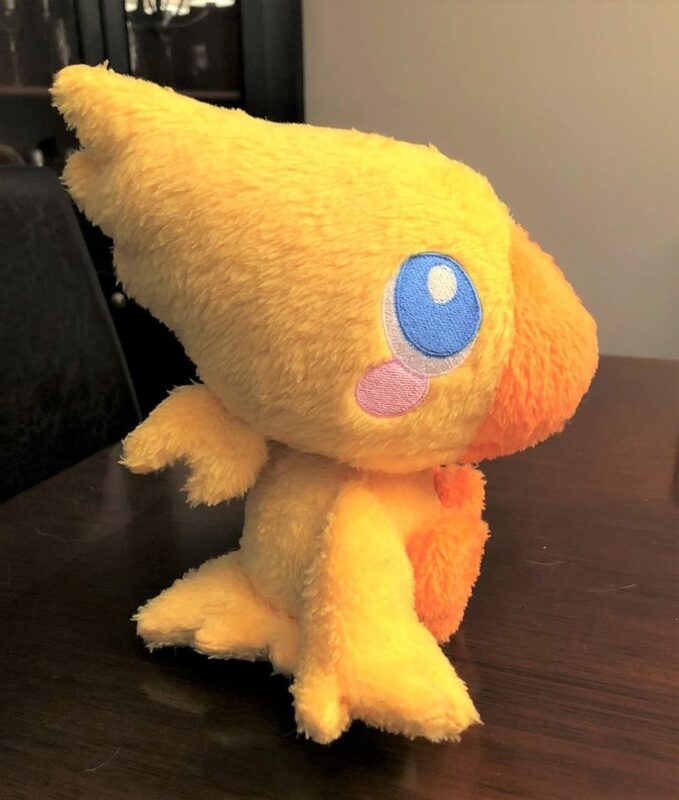 The pattern includes the embroidery files and there’s really great, detailed instructions on embroidering for plushies. You have to cut a piece of fabric bigger than the hoop, embroider the eyes, then cut out the pattern piece. The embroidery file even contains a line that indicates where to line up the pattern piece for cutting. It made things super easy! After embroidering, you just cut out all the pattern pieces and sew together as normal. This guy came out soooo cute! One thing that was difficult was that I used some not-great quality minky-like fabric from Joann… it has a loose weave and that made it difficult to work with. But I do like how the shaggy texture resembles feathers! I’ve already purchased another pattern and embroidery set from Choly Knight and I can’t wait to try those. I love all her designs, they’re just so cute! !